As babies begin to focus on the world around them, they start to learn about differing emotions through eye contact and the facial expressions of others. 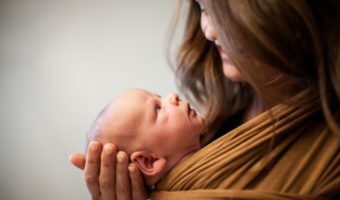 By observing the expressions of those around them, babies start to process what they see, helping them to build the relationships & connections they have with us. Using facial expressions to read situations is believed to have evolved from the African Savannah, where it was vital for humans to communicate silently, using only their facial expressions, so as not to alert any predators to their presence. As babies develop their skill of reading faces, they start to use it in a process called ‘social referencing’ (Feinmen 1992). Infants use social referencing to check at a distance whether something is safe, unsafe, okay to do or not okay to do. Allan Schore believes that facial expressions actually have a far more important part to play in infant development, in that it actually contributes to stimulating a social and emotionally intelligent brain. When a baby looks at its parents it gathers information as to how the mother or father may be feeling. Dilated pupils indicate that the sympathetic nervous system is aroused and that he or she is happy, in response, the baby’s nervous system kicks in, triggering the same chemicals the mother or father maybe experiencing to be released. Thus creating a happy and aroused response in the baby. Doting looks from family members are now believed to trigger a pleasurable biochemical response, that helps the brain to grow. In Baby Reflex, we always promote the importance of engaging with your little ones whilst giving them a treatment. By smiling and talking to them, you are offering them reassurance that everything is okay and they are safe and loved. This combined with the power of touch, makes for not only a happy baby but also a happy parent.